[front] M Markle [sp?] '91 [back] 2-20-14; Photo of Bill Stafford taken in backyard of their L. O. home. Gift to L. O. Library from Pat Carver. 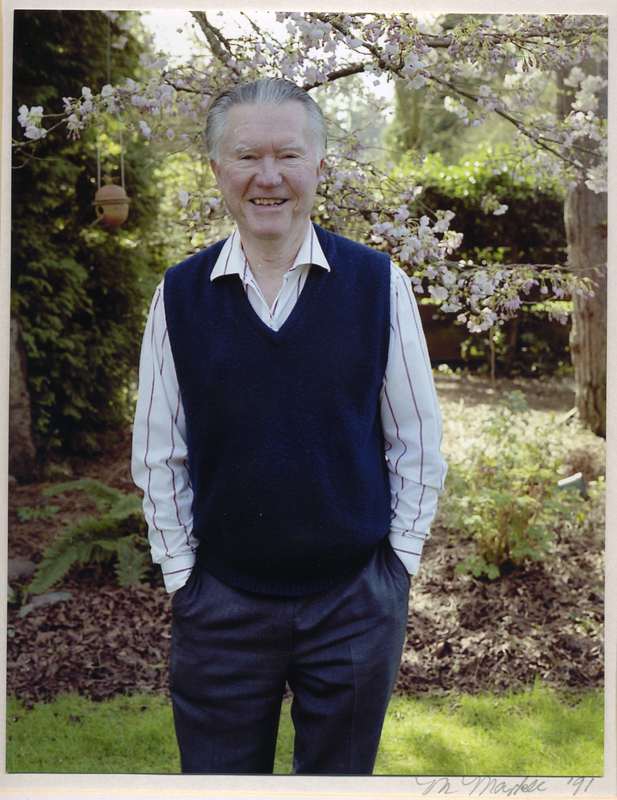 Description Portrait of William Stafford taken in 1991. Photo given to library by Patricia Carver 2/20/2014. Transcription [front] M Markle [sp?] '91 [back] 2-20-14; Photo of Bill Stafford taken in backyard of their L. O. home. Gift to L. O. Library from Pat Carver.